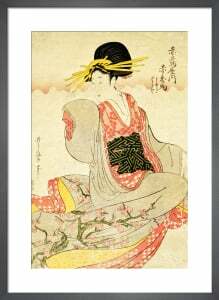 Much of Kitawaga Utamaro's life remains unknown despite the popularity of his work during his lifetime and its continued appeal. 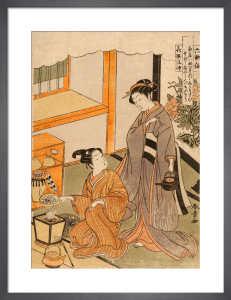 Working through the latter half of the 18th century, his work is considered one of the finest examples of ukiyo-e; a style of Japanese art produced using woodblock prints. 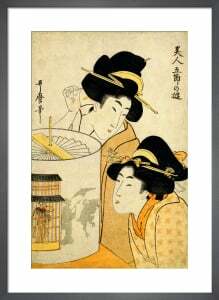 He is best known for pictures of women, in scenes of everyday life. This feature of his work along with his treatment of light was absorbed into Impressionism and has enjoyed a long-lasting influence. 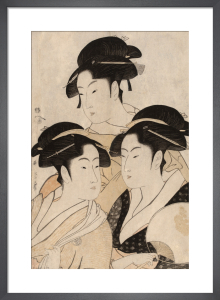 Utamaro's woodblocks make delightful prints, particularly when paired with one of our bespoke handmade frames.